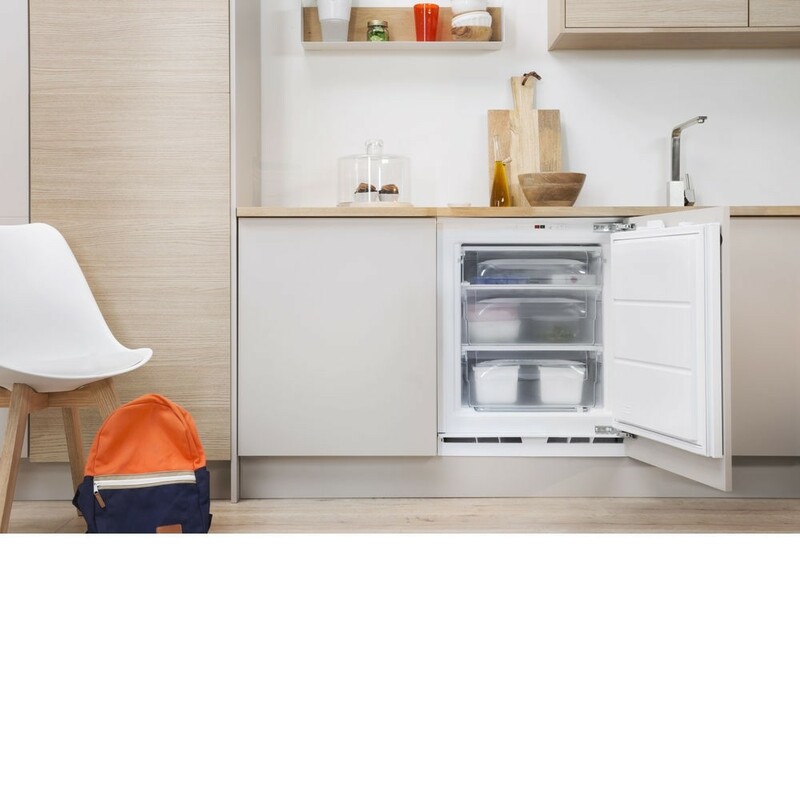 The built-in Indesit IZA1 Freezer is very efficient with its A+ energy rating and 91 litre net capacity, leaving ample room to store your goods. ith three deep drawers organising your food is a breeze, plus with ice trays included, you can always enjoy a cool drink. Combining an A+ energy rating with adjustable thermostat, the power’s at your fingertips for a bespoke freezing service. 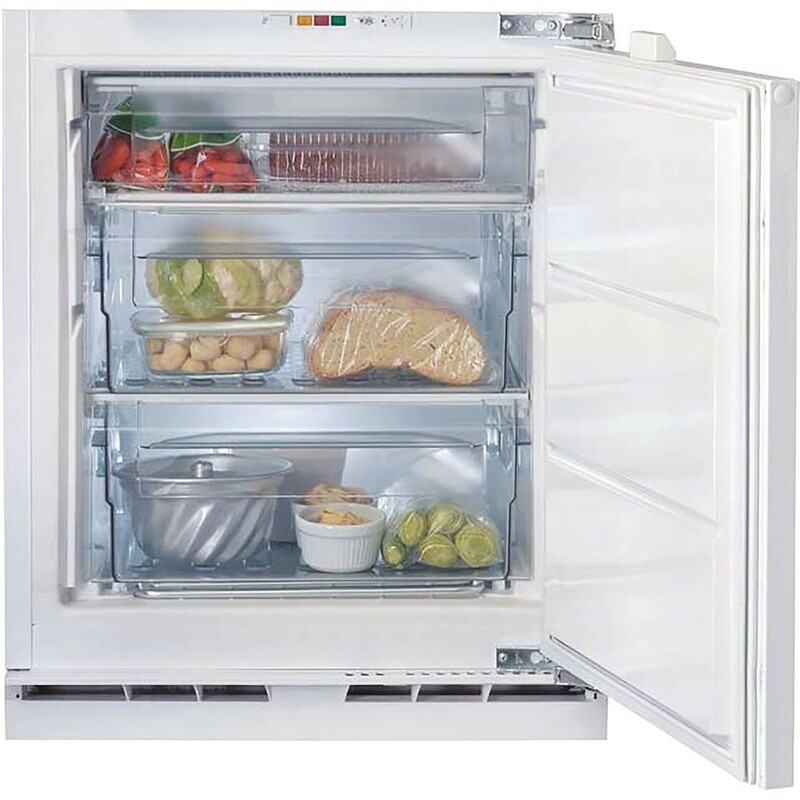 It has 16 hours of safe storage after a power failure keeping your food safe and there are anti bacterial seals that will protect the appliance from mould and nasty bacteria.